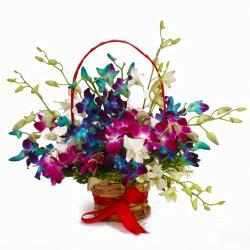 Product Consist : Basket of Dozen Orchids in White and Purple Shade with green fillers. 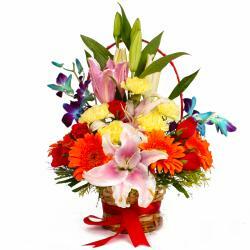 Have a look at this amazing basket which is available for gifting on our gift store. The Best gift item is Orchids in a basket. The basket is round in shape and beautified with a beautiful arrangement of white and purple orchids are used to perfectly complement your message of love, purity, innocence and remembrance. Flowers are the best gifts to symbolize your feelings without verbally speaking. 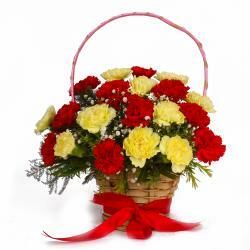 On this Valentine s Day let the beautiful Orchid basket complement your message of love to the one you love. 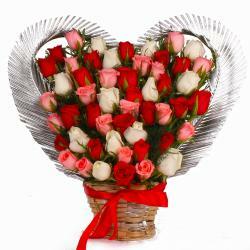 Or else you can send this flowers on Birthday, Anniversary, Congratulations, Karwa Chauth, Republic Day, So hurry up and place your order. 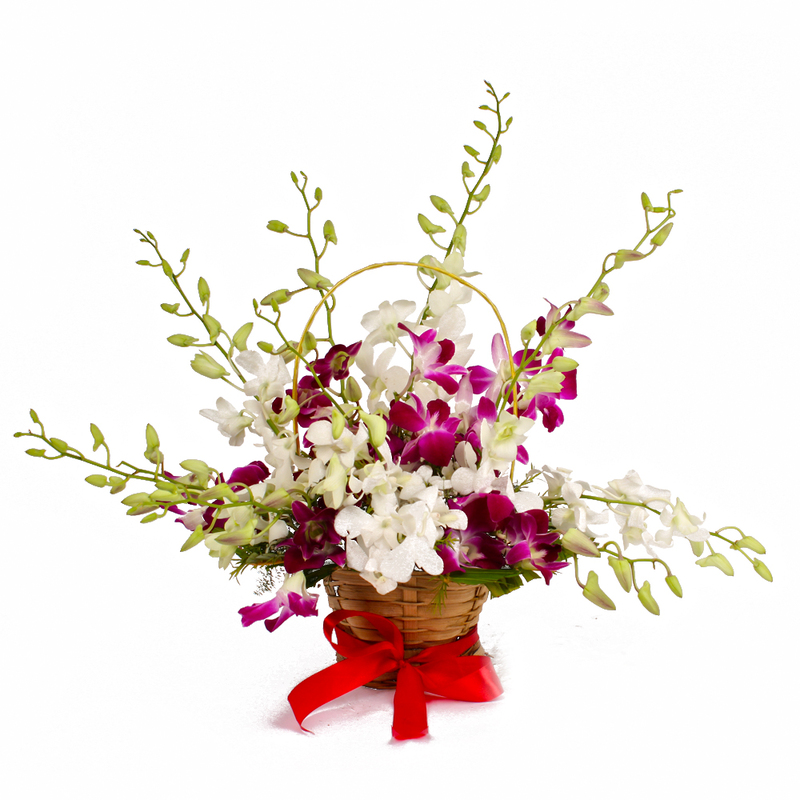 Product contains : Basket of Dozen Orchids in White and Purle Shade with green fillers.